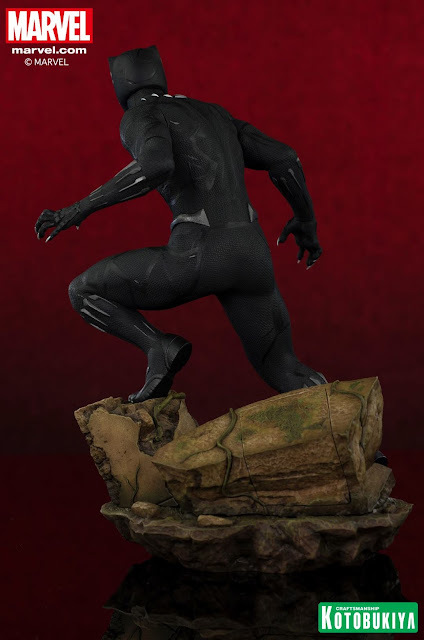 This is a preview for Kotobukiya's upcoming Black Panther ARTFX Statue, which is from the Black Panther film. It is part of their 1/6 scale ARTFX statue series and stands 12.5". 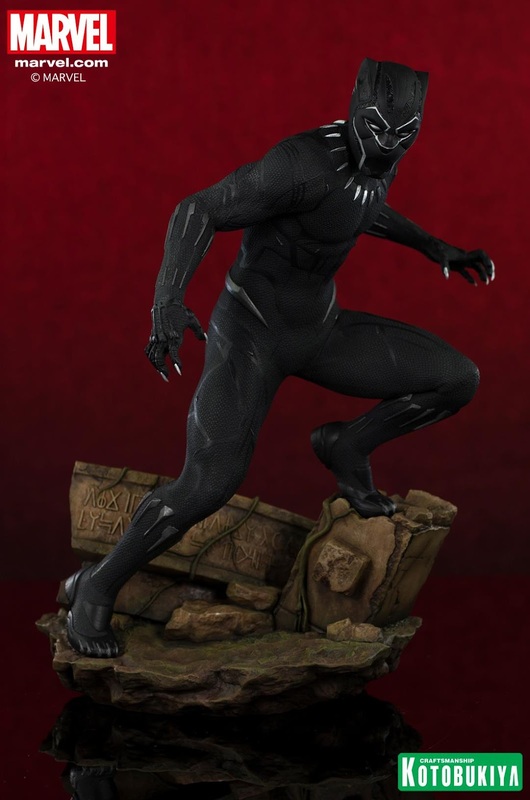 It is scheduled to be released in June. Pricing is not available at this point. Check out the details and images below. 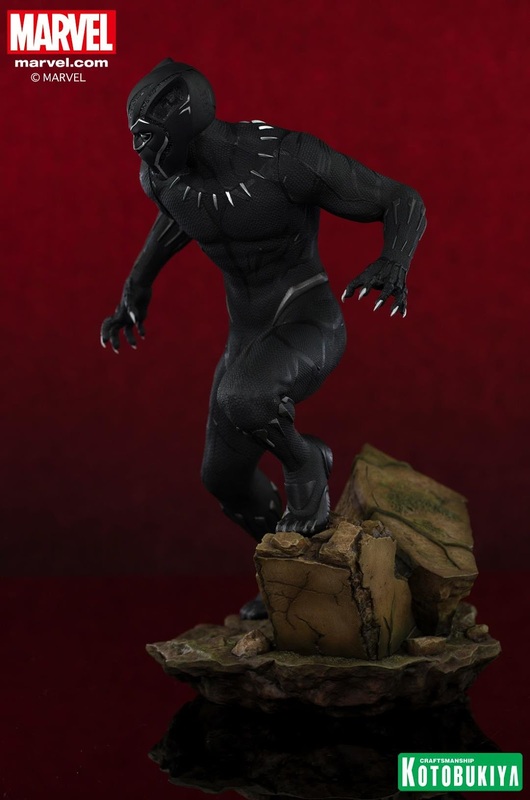 "A Kotobukiya Japanese import! Kotobukiya’s next elite ARTFX Statue returns to the Marvel Cinematic Universe and celebrates the breakout hero of 2016’s Captain America: Civil War and the star of his own upcoming blockbuster, BLACK PANTHER! 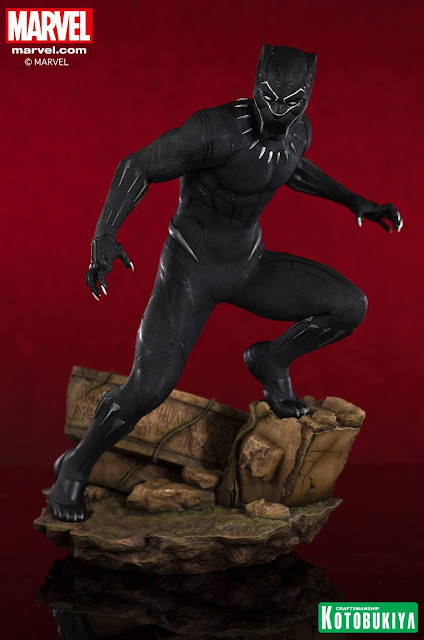 A prince of the mysterious nation Wakanda, T’Challa was thrust into the spotlight when a terrorist attack killed his father and elevated him to the throne. 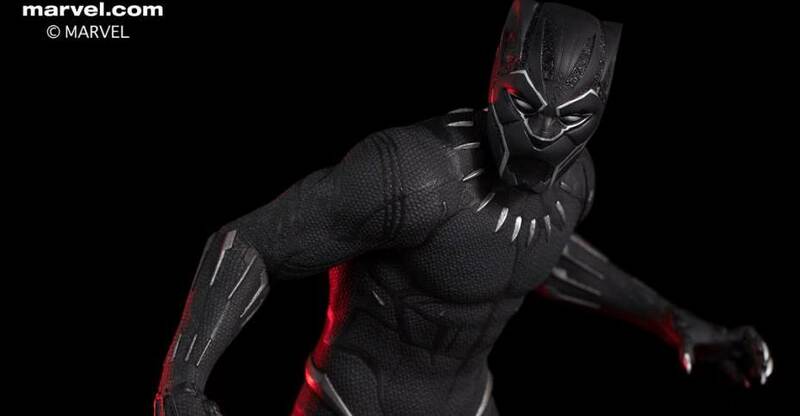 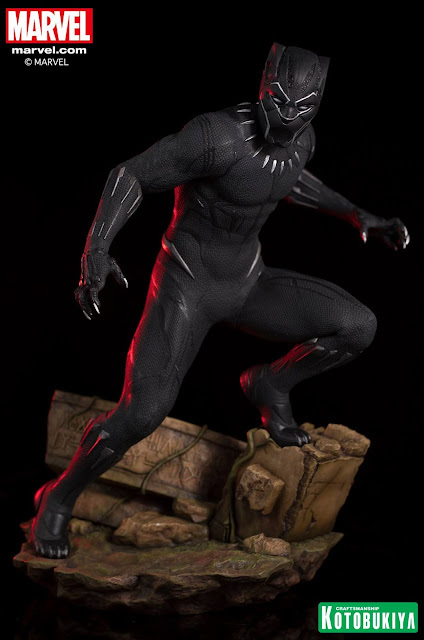 Now he holds the dual responsibility of ruling his people as king and protecting the world as the costumed Black Panther, and it’s that hero who claws his way to you now in a glorious 1/6 scale statue representing 2018’s Black Panther film! 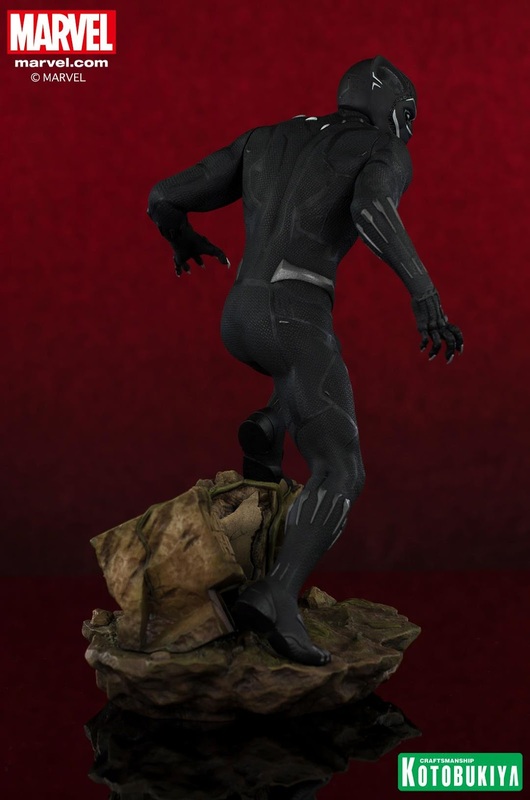 Sculpted by Jerónimo Duarte Argerich, Black Panther Movie Black Panther stands over 12 ½ inches tall (1/6th scale) atop his Wakandan jungle ruins base. Get your hands on this technologically advanced hero and star of the Marvel Cinematic Universe!"